A superb SIMA-VALUTM product! This “two-in- one” simulator combines the features of the female and male catheterization simulators at an unbeatable price. Use of this simulator will give your students the confidence required to perform this basic nursing procedure. An excellent model for demonstration and “hands-on” experience in use of a condom. 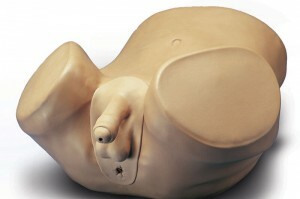 The model is manufactured in a soft, flexible vinyl and maintains it erect state. Mounted on a smoked Lucite stand. Supplied with instruction manual. A compact simulator developed to assist in learning a new method of vas occlusion. To provide realism, the leg stumps are designed to “get in the way” of the student as the procedure is mastered.